This year, as my wife and I celebrated our 25th anniversary, I could not help but reflect on how fortunate I am that our relationship has thrived despite both the normal stressors of life as well as the unexpected and more challenging curveballs one can’t anticipate in life. 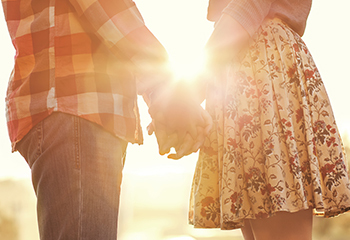 We often naively believe that our partner relationships will always remain the same. Unfortunately, they don’t. Tune-ups are needed so the dynamics of a relationship can evolve just as we evolve as individuals. What this requires is plain and simple: ongoing work and commitment to continually enrich one’s relationship. Consistent with Beacon’s mission of helping people live their lives to the fullest potential, we must not forget the importance of healthy relationships. Relationships are an inherent human need, so it should not be surprising that when our relationships go off track so do other aspects of our life. Relationship distress has a profound impact on us as individuals, our families, and our work. Relationship issues can cause individuals to be less productive, distracted, irritable, and at greater risk for accidents on the job. The health risks from being alone or isolated in one’s life are comparable to the risks associated with cigarette smoking, blood pressure, and obesity. As one of the nation’s largest providers of Employee Assistance Programs (EAPs), Beacon Health Options has learned that, in the last 10 years, relationship-related issues are consistently among the top three reasons people contact their EAP. Ensuring the long-term success and happiness of a relationship requires both partners to continually seek out opportunities for enrichment. These opportunities can range in scope from simple expressions of appreciation and affection to more active tasks of working purposefully within relationship counseling. There are even highly effective relationship-focused apps to help improve couple communication. Happy and healthy relationships are hard to create and even harder to maintain. However, a nurturing, loving relationship can also be one of the most rewarding aspects of one’s life, culminating in unconditional support, love, and companionship through all of life’s ups and downs.